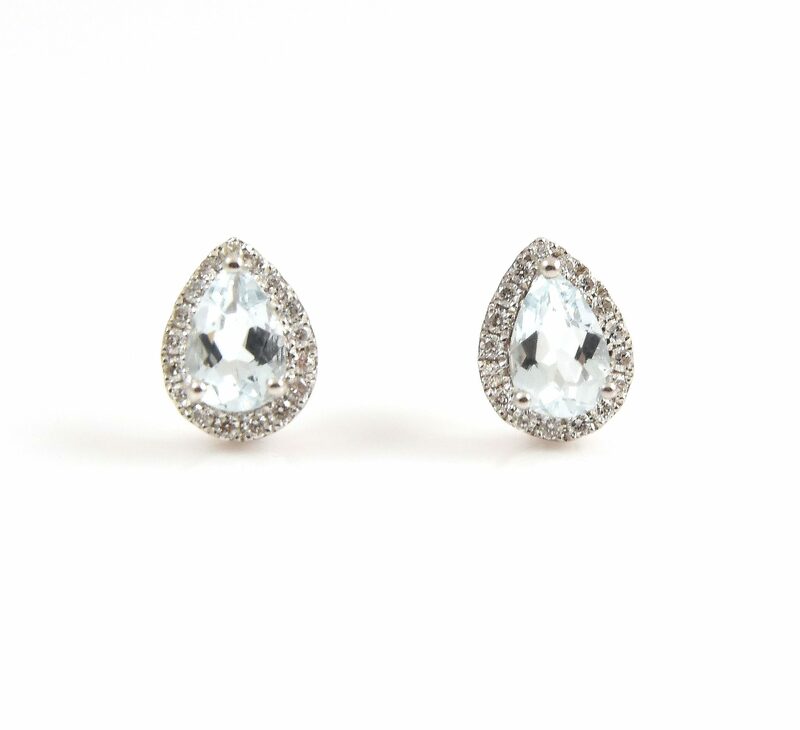 A pair of 18K white gold Aquamarine and diamond earrings. 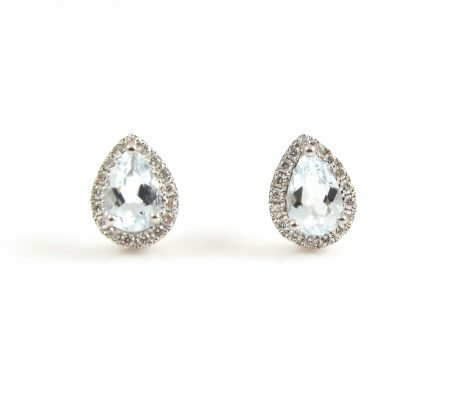 Centrally claw set with two 0.35ct pear shape aquamarines, surrounded by a claw set diamond halo. Looking for a pendant to match? View here.